UF Urology has a proud and more than 60 year-long history of providing comprehensive services and personalized care to our patients. UF Health Urology provides state-of-the-art care to patients who suffer from a broad range of urologic conditions. Our team is comprised of fellowship-trained physicians, nurse practitioners and patient navigators who provide compassionate and personalized care to each patient we see. Many of our programs are based upon a multidisciplinary approach involving specialists within and outside the field of urology to provide the best perspective and treatment, tailored to each individual’s medical condition. We are also actively engaged in translational research and in providing educational programs for future leaders in urology, including residents and fellows. 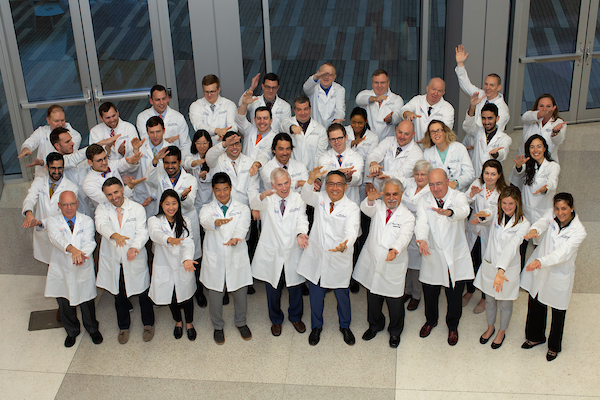 The UF Department of Urology is unique in that our physicians and researchers are all leaders in the key specialty areas of urology. Their active research addressing critical challenges within the field will shape the future of urologic care. We welcome you to our department and training program. Rest assured that you are in good hands. We are here for you and your family and serve as a resource and second opinion for your local physicians. If you are interested in visiting, please call us at 352-265-8240 and we will make every attempt to address your concerns promptly. It is our commitment to provide rapid access to high quality care, tailored to your specific needs. Whenever you need us, UF Urology is here for you.